If you’re looking for a job, then you’ll know how important it is to get your CV up to scratch. Nowadays you will literally get hundreds of people applying for the same job, so the only way you might stand a chance is to make your CV stand out from the rest. So how do you stop an employer throwing yours straight in the bin? 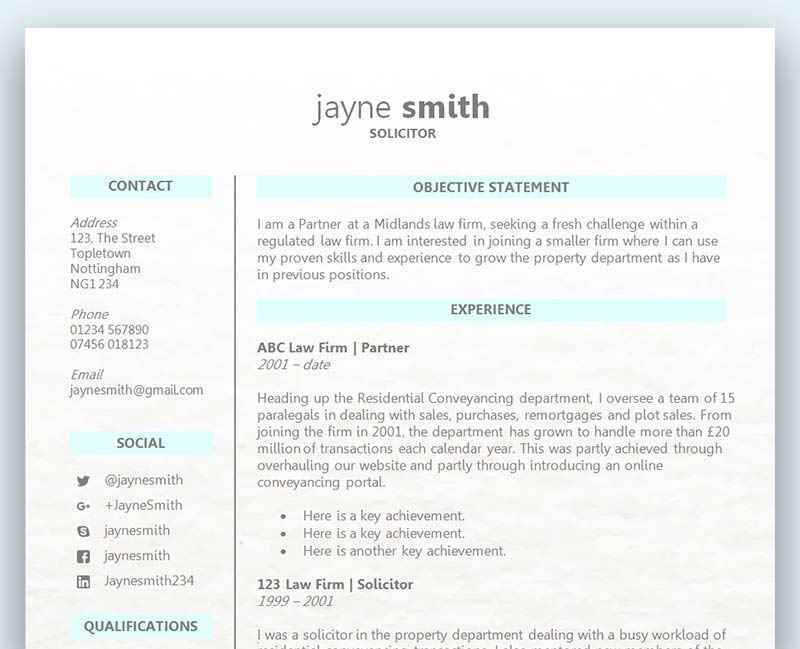 So much emphasis is put on how a CV should look, what should be in it, what font to use, and so on. However, once you’ve picked out a good template from our collection, the biggest thing that is overlooked when writing a CV is what not to include, and more and more people are making some glaring mistakes which instantly put off the employer. It’s really important to employers that your current role is at the top of the list, so they don’t have to go hunting for it amongst all your other previous jobs. You may think you’re being smart by messing around with the order so as to show off previous roles which may relate to the job your applying for. However, this is just confusing and will only serve to annoy the hiring manager. If your current role is completely different to the job you are applying for, then don’t worry. All you have to do is explain this in your CV, and make it clear why you are looking to change careers. Employers are more interested in why you are looking to make a career change, rather than having to figure out what you’re up to at the moment. Changing careers isn’t unusual, and the employer is more likely to put you on the interview pile if they can see your career progression in chronological order, and they can also see that you are passionate about changing careers and learning something new. Also, you may find that there are some skills in your current role (or previous roles) that can transfer over to this new position. Don’t hesitate to point this out on your CV, and make it easy for the employer to imagine how those skills would be beneficial to their company. Never try to hide any gaps in employment you might have, as this will just instantly raise suspicion – and employers don’t have the time to bother with a suspicious work history when they have hundreds of potential candidates to look through. Being honest about any gaps will give you a far better chance of making a good impression, and won’t risk the chance of putting an employer off. For example, you may have taken a few years out to look after your children, so don’t be frightened to put that in – as it’s commendable! Or you started up your own business but it failed – nothing to be embarrassed about! It basically comes down to two options – leave a gap, or explain why. Ultimately this is your choice, but we can assure you that being honest is always the best way. Well there’s a surprise – don’t most people? Listing your hobbies and interests is a great way for an employer to get an insight into your personality. After all, they are going to be working with you, so it’s important they get to know a little of the real you before they haul you in for an interview. But you can’t do that if you just say, ‘I love going out on a weekend and socialising with friends’. Writing about a particular hobby or project in a little more detail will spark interest in your CV. You may be playing in a band every weekend, so why not talk about that? What is the name of the band? How often do you gig? Where do you gig? What instrument do you play? Be careful not to go into too much detail as you don’t want the employer to think that you are more interested in your band than the role, but be open and honest about what you like to do away from work. A particular project that you’ve been working on is also a fantastic way to keep them glued to the page. Tell them about that model plane you’ve been painting for weeks, or those songs you’ve written over the years. If you’re into photography, then tell them about the types of pictures you like to take, rather than just saying, ‘I like photography’. Where’s your LinkedIn or Twitter account? If you have an up to date Twitter or LinkedIn account with some fantastic testimonials, then make sure you put a link for them into your CV. If you don’t have an account, then make one! Social or business media is all the rage, and most likely will be for a very long time to come. So get yourself out of the dark ages, and make sure you get up to date with whatever is the latest in online presentation. Nowadays employers love to search online to see what they might find. So be prepared and make it easy for them to get everything they need to make you a potential candidate. Check every single detail about yourself to ensure it’s professional and gives off the right impression. A covering letter gives you the chance to instantly grab an employer’s attention – especially when lots of candidates don’t even bother creating one! Don’t be that douche, and go the extra mile be instantly presenting yourself and explain why you are the right person for the job. Ensure the letter is interesting and loaded with extra information – previous work experience, qualifications etc. It also has to be tailored to the position you are applying for, otherwise it will just seem like a waste of paper to the employer. A covering letter that also explains why you want to work there and shows how passionate you are for the role will be very hard to dismiss, and should give you the best possible chance of gaining an interview. Click here to read our guide on creating a winning cover letter.